Shinhwa, one of the most popular boy bands of the late 1990s, are returning to the stage in March after a four-year absence. CJ E&M and Shinhwa Company said the group will hold their comeback concert at Olympic Park Gymnastic Stadium from March 24 to 25 after releasing their 10th album in the middle of March. 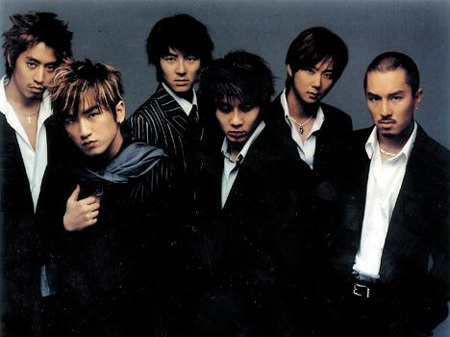 The six members of the group -- Kim Dong-wan, Shin Hye-sung, Andy, Eric, Lee Min-woo and Jun Jin -- became teen idols after their debut in 1998, which led to a decade of stellar success and enduring popularity. They released several hit songs and gained a huge following in China and Southeast Asia. After they stopped performing as a band in 2008, many went on to enjoy successful solo careers, with Eric and Kim Dong-wan becoming recognized as actors, and Shin Hye-sung and Lee Min-woo producing hit solo albums. They founded their own management agency, Shinhwa Company, last year, and plan to tour Asian countries including Japan after their concert in Seoul this spring.